For many, the Holiday Season is the perfect time to visit Kearny, not just because of the traditional Scottish food they find there, but for the memories, they treasure on their hearts when thinking of Kearny. Kearny Town of New Jersey was the settlement for many Scottish families during mid-1870 and generations grew and developed there. Those Scots where who kept alive and pass their Scottish cultural heritage to their new generations of Scottish-Americans; on that process, they left an indelible print that has endured changes and new times. The Stewart family arrived Kearny in 1929, and after establishing founded Stewart's Market. Since then, they have been delivering the traditional Scottish food, that is made on the premises of the current and original place. 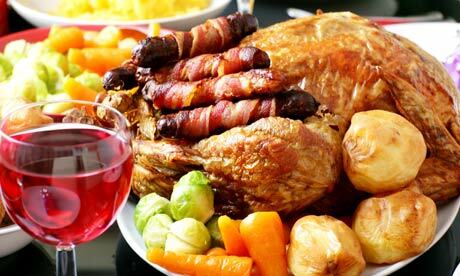 Every year Christmas' dinner preparations drive Scots to Kearny to find their favourite food like Scottish bacon, mince pies, Christmas pudding, hot chocolate, sausage links, meat pies, stuffing, gravy and more because that is the way how to keep close to their traditions. Although most Scots who ever lived in Kearny moved out to live in other cities, the Scottish tradition remains in town and they know it. Christmas in Kearny brings memories of old days, especially on the Holiday Season when Kearny Avenue looks so festive and the city lights the Christmas Tree at the door of their beautiful illuminated Town Hall Building, a stamp that cheers and warms its visitors during the cold nights of December.